At Audio Video Solutions, we can provide you with the best security on the market. We have over a decade of experience, and are up-to-date with the latest industry trends. Whether you are looking to keep an eye on your front porch, upgrade to a higher resolution system, or looking to secure your home or business, We have the right camera system for you. Our experts will find the right solution to your unique security needs through a wide variety of services that can be tailored to your Home or Business. In order to protect yourself in real-time, you need the right surveillance system. We offer top quality video surveillance to help you stay on top of what happens even when you aren’t there. We can install your security system indoors or out! With an operating temperature of 14°F～131°F this camera will handle any weather Texas can throw at it, and the amazing Infrared this camera offers, will give you a crystal clear image no matter the time of day or night. Security camera specifications can be confusing. Here are some common terms associated with surveillance cameras and their definitions. If there are any features or specifications that you don’t understand, please give us a call. We are happy to help you! Analog Cameras: Most security surveillance cameras are analog. This means that, although they digitally process the images into video, they then transmit the video in analog over coax. The advantage to analog is that it can be transmitted over long distances and then reconstituted back into digital video at the receiving end. 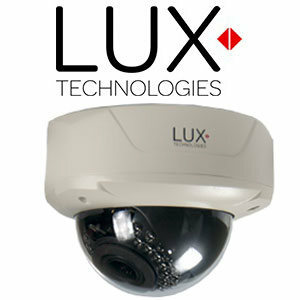 IP Cameras: Some cameras transmit their video over IP based networks. These are considered IP or network cameras. They can be easily integrated into an existing network infrastructure, although the impact on the existing bandwidth must be analyzed before doing so. For larger security surveillance installations using IP cameras, a separate network should be configured due to the bandwidth intensive nature of these cameras. There is also a limitation of 100 meters or approximately 300 feet that a network cable can be run. Auto Iris: This term refers to the capability of a camera to open or close the iris of the lens depending on the lighting conditions. Just like the human eye, when exposed to bright light, the iris closes to keep from being blinded. And in low light conditions, the iris opens wide to allow as much light as possible to enter. The animation below illustrates how the iris functions.